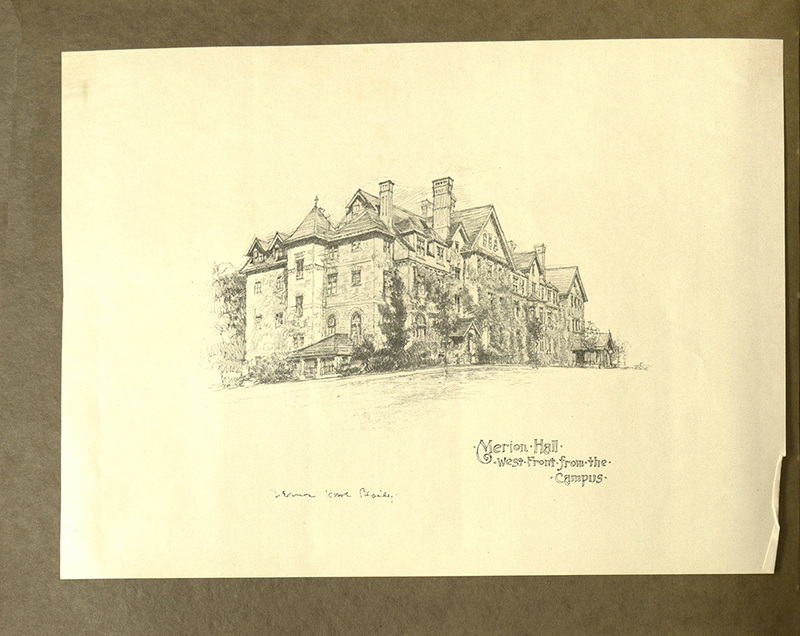 Professional Sketch of Merion Hall featured in Marion Frost's scrapbook. In the first few pages of the scrapbook, we see professional sketches of Bryn Mawr’s academic and residential buildings rendered by another artist, evidenced by the signature attached to the images. These pieces were official college materials: a claim substantiated by the prominent titles found on each of these drawings. In addition to these titles, certain drawings also include the rent for residential buildings printed on the back (not seen in the digitized version of this scrapbook) or official floor plans. 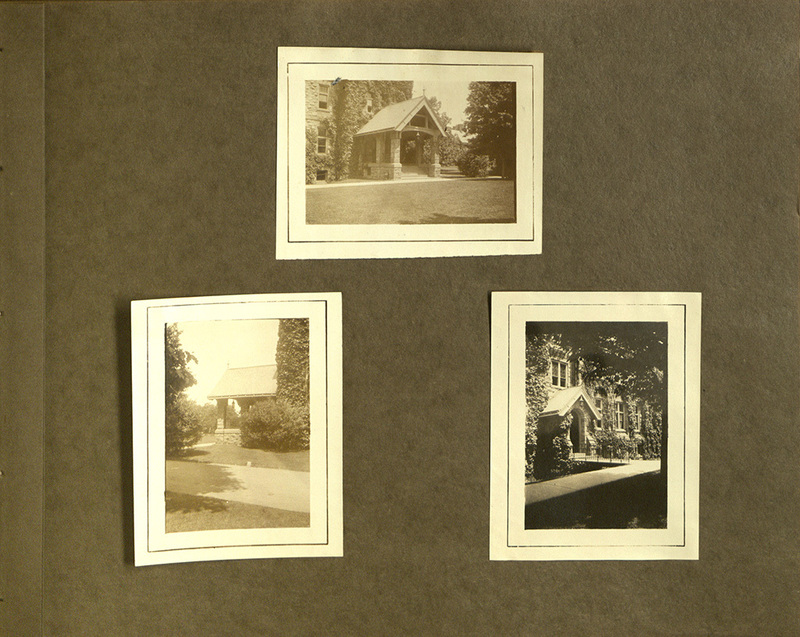 Marion Frost's own photographs of Merion Hall that appear on the page adjacent to the one above. However, particularly striking is the fact that alongside these images, Frost opted to include her own photographs or sketches of the same buildings. Though her signature is not present on the photographs and sketches, the extra paper backing on these pieces suggest personal significance; an artist would frame work that she was proud of. Moreover, the backing also serves as a frame thus asserting that these pieces were meant as artwork to be viewed and appreciated.